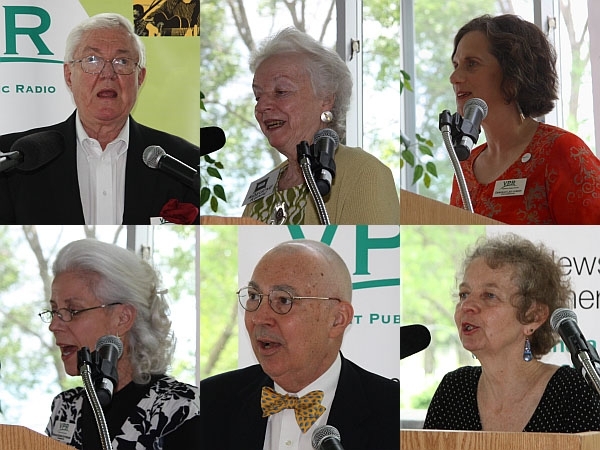 For the past five years VPR has held an annual brunch event for our Broadcasters Club members at which VPR commentators give two-minute readings on a common theme. That’s a 333 word limit! We host roughly 200 people at the event and it’s a favorite among staff, commentators, listeners, and guests. The variety of voices and perspectives is fascinating! The 2011 brunch was held in June at The Essex Resort and Spa. This year’s theme was "Picture This…" Some told funny or touching stories from the past, others considered utopian visions of the future. And there was a whole range in between. All this week VPR will air selected commentaries from the brunch. Listen at 7:50 during Morning Edition and 5:50 during All Things Considered to hear those commentaries. You may listen to the entire Commentators Brunch program by clicking the "Listen" icon above.